The first two days as a second grade family have been AMAZING! We have been learning about classroom procedures, expectations and getting to know one another. Setting the classroom climate is key for our learning this year. Together we created a classroom promise and the children created mini faces to make their pledge to one another. Thanks for sharing your children with me, I am really enjoying getting to know them! Welcome to second grade!!! 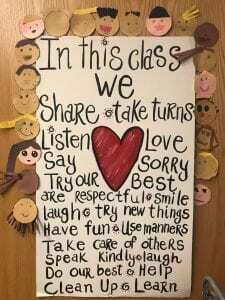 This past week we worked on creating a classroom climate where everyone was respected and loved, which will foster the learning environment for our children. We also learned many classroom routines for using the bathroom, sharpening pencils, etc. I am very proud of our second graders for all of their hard this past week, they did an awesome job of following directions quickly and quietly. As readers, we worked on using our reading time wisely and how to pick a “just right” book. We learned a rap that reminded us how to choose books that interest us, that we can understand and where we can read most of the words. Look for a special musical production this coming week :). 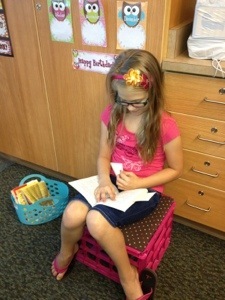 Our writers wrote their very first story of second grade last week. I am enjoying reading them! We focused on writing a story that is a “seed story”, one small event from their life that is stored in their heart and mind (strong feelings). As mathematicians, we have learned how our math work sites will work by practicing math mountains and addition facts. We will be using Mobymax, an individualized math instruction web program, here at school but it is a great resource at home as well. Information was sent home on Friday regarding home log in and passwords. Please let me know if you have any questions or concerns. We will have library every Monday starting tomorrow… YAY! Our classroom is a peanut free zone, please send your child to school with peanut free snacks to eat in classroom. Thanks so much for your consideration! Thanks so much for all of your donations!!!!! I think we are set on antibacterial wipes and kleenex for awhile :)….. THANK YOU THANK YOU! We use both of those items everyday. Most of all, thank you for sharing your adorable children with me, they are just amazing! It’s going to be a great year! Welcome to second grade!!! This past week we worked on creating a classroom climate where everyone was respected and loved which will foster the learning environment for our children. In math we reviewed math mountains as well as writing subtraction and addition equations from math mountains. Our main focus in math for the next month is using strategies to become fluent with math facts. Our writers constructed their first story in second grade. I can’t wait to read them! 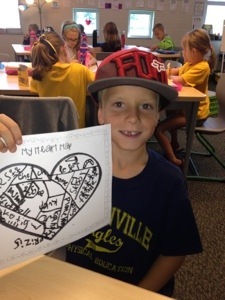 We also created a heart map to give us ideas when we are stuck on what to write about. One of the highlights of our week, for me, was when we delivered bucket fillers ( positive notes) to friends in our school. We left little messages in lockers to surprise our school mates and hopefully put a smile on their face. Our second graders took this very seriously and were beaming with happiness. I hope that you have enjoyed this beautiful fall weekend and are refueled for our first full week of second grade. It has been absolutely wonderful getting to know the children and setting the community of our classroom. I can’t wait to watch them grow this year! * Our first homework packet will be coming home on Monday to be returned the following Monday. 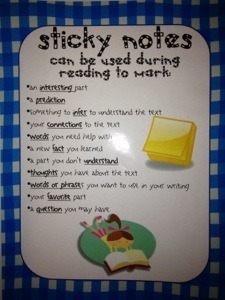 Children are asked to do 15 minutes of reading each night, in addition to the math and/or word study homework. The math homework that will be sent home covers material or concepts that we have already learned and serve as practice/reinforcement for the children. Please feel free to contact me with any questions or concerns. * PICTURE DAY IS COMING UP…… Save the Date: September 17! * On Wednesday September 12, second graders at Georgetown will be taking a district wide assessment that allows us to prepare and create appropriate instruction for our students. * Look for daily updates regarding all of our fun learning adventures in math, reading, writing, social studies and science on the blog. * We will begin our regular library and computer scheduled times within the next few weeks… YEAH!!! Looking forward to a GREAT week!!!!!!! We made it!!!! It has been a fabulous week of learning and getting to know one another. Each week, I will post a weekly update as well as a classroom newsletter. Please make sure to check the blog each Friday. * There is an opportunity for 2 brief snack times each day, one in the morning and one in the afternoon. * Homework packets will be sent home on Monday and should be returned the following Monday. Hopefully these weekly packets will give you some flexibility on when the homework is completed throughout the week. If the homework packet is returned on time, the children earn a ticket… WOOHOO!!!! * Reading Counts begins on Monday, please look for your child’s RC (Reading Counts) book baggie to come home as well as information on the program. * Volunteers: Thank you so much for being willing to help in the classroom! Please be patient as we wait upon the background checks and then I will send out a schedule to everyone :)!! * Also, we are building our classroom blog ipod with our classroom requested songs. If there is a song that your child loves, please respond to this post and I will add it to the list. * I will be posting pictures this weekend, so check back 🙂 Remember to check the Georgetown 180 Project for our daily pictures as well. Just click on the badge on the right side of the blog and look for MRS. KUIECK’s PICTURES.